Omer Levi Hevroni has a very interesting post exploring ways to represent threat models as code. The closer threat modeling practices are to engineering practices already in place, the more it will be impactful, and the more it will be a standard part of delivery. There’s interesting work in both transforming threat modeling thinking into code, and using code to reduce the amount of thinking required for a project. These are importantly different. Going from analysis to code is work, and selecting the right code to represent your project is work. Both, like writing tests, are an investment of effort now to increase productivity later. It’s absolutely worth exploring ways to reduce the unique thinking that a project requires, and I’m glad to see this work being done. J.E. 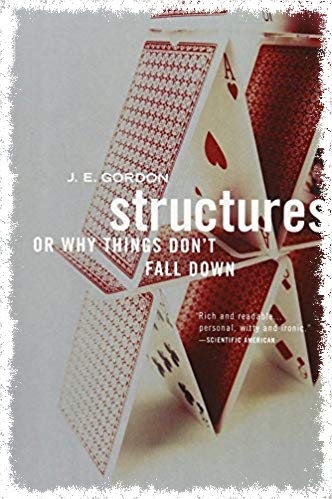 Gordon’s Structures, or Why Things Don’t Fall Down is a fascinating and accessible book. Why don’t things fall down? It turns out this is a simple question with some very deep answers. 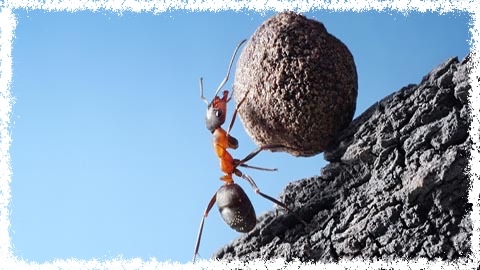 Buildings don’t fall down because they’re engineered from a set of materials to meet the goals of carrying appropriate loads. Those materials have very different properties than the ways you, me, and everything from grass to trees have evolved to keep standing. Some of these structures are rigid, while others, like tires, are flexible. The meat of the book, that is, the part that animates the structural elements, really starts with Robert Hooke, and an example of a simple suspension structure, a brick hanging by a string. Gordon provides lively and entertaining explanations of what’s happening, and progresses fluidly through the reality of distortion, stress and strain. From there he discusses theories of safety including the delightful dualism of factors of safety versus factors of ignorance, and the dangers (both physical and economic) of the approach. Structures is entertaining, educational and a fine read that is worth your time. But it’s not really the subject of this post. We cannot get away from the fact that every branch of technology must be concerned, to a greater or lesser extent, with questions of strength and deflection. The ‘design’ of plants and animals and of the traditional artefacts did not just happen. As a rule, both the shape and the materials of any structure which has evolved over a long period of time in a competitive world represent an optimization with regard to the loads which it has to carry and to the financial and metabolic cost. We should like to achieve this sort of optimization in modern technology; but we are not always very good at it. The real subject of this post is engineering cybersecurity. If every branch of technology includes cybersecurity, and if one takes the author seriously, then we ought to be concerned with questions of strength and deflection, and to the second quote, we are not very good at it. We might take some solace from the fact that descriptions of laws of nature took from Hooke, in the 1600s, until today. Or far longer, if we include the troubles that the ancient Greeks had in making roofs that didn’t collapse. But our troubles in describing the forces at work in security, or the nature or measure of the defenses that we seek to employ, are fundamental. If we really wish to optimize defenses, we cannot layer this on that, and hope that our safety factor, or factor of ignorance, will suffice. We need ways to measure stress or strain. How cracks develop and spread. Our technological systems are like ancient Greek roofs — we know that they are fragile, we cannot describe why, and we do not know what to do. Perhaps it will take us hundreds of years, and software will continue to fail in surprising ways. Perhaps we will learn from our engineering peers and get better at it faster. The journey to an understanding of structures, or why they do not fall down, is inspiring, instructive, and depressing. Nevertheless, recommended. As a result, the developers understood pretty quickly that product security was their job rather than ours. And instead of having twenty or thirty security engineers trying to “inspect (or test) security in” to the code, we had 30 or 40 thousand software engineers trying to create secure code. It made a big difference. Then he explained the name was important for inspiring the necessary fear. You see, no one would surrender to the Dread Pirate Westley. The DREAD approach was created early in the security pushes at Microsoft as a way to prioritize issues. It’s not a very good way, you see no one would surrender to the Bug Bar Pirate, Roberts. And so the approach keeps going, despite its many problems. DREAD certainly meets the first of these, and perhaps the second two. And it was an early attempt at a multi-factor rating of bugs. But there are many problems which DREAD brings that newer approaches deal with. The most problematic aspect of DREAD is that there’s little consistency, especially in the middle. What counts as a 6 damage versus 7, or 6 versus 7 exploitability? Without calibration, different raters will not be consistent. Each of the scores can be mis-estimated, and there’s a tendency to underestimate things like discoverability of bugs in your own product. The second problem is that you set an arbitrary bar for fixes, for example, everything above a 6.5 gets fixed. That makes the distinction between a 6 and a 7 sometimes matters a lot. The score does not relate to what needs to get fixed when found externally. This illustrates why Discoverability is an odd things to bring into the risk equation. You may have a discoverability of “1” on Monday, and 10 on Tuesday. (“Thanks, Full-Disclosure!”) So something could have a 5.5 DREAD score because of low discoverability but require a critical update. Suddenly the DREAD score of the issue is mutable. So it’s hard to use DREAD on an externally discovered bug, or one delivered via a bug bounty. So now you have two bug-ranking systems, and what do you do when they disagree? This happened to Microsoft repeatedly, and led to the switch to a bug bar approach. Affected users is also odd: does an RCE in Flight Simulator matter less than one in Word? Perhaps in the grand scheme of things, but I hope the Flight Simulator team is fixing their RCEs. Stepping beyond the problems internal to DREAD to DREAD within a software organization, it only measures half of what you need to measure. You need to measure both the security severity and the fix cost. Otherwise, you run the risk of finding something with a DREAD of 10, but it’s a key feature (Office Macros), and so it escalates, and you don’t fix it. There are other issues which are easy to fix (S3 bucket permissions), and so it doesn’t matter if you thought discoverability was low. This is shared by other systems, but the focus on a crisp line in DREAD, everything above a 6.5 gets fixed, exacerbates the issue. For all these reasons, with regards to DREAD? Fully skeptical, and I have been for over a decade. If you want to fix these things, the thing to do is not create confusion by saying “DREAD can also be a 1-3 system!”, but to version and revise DREAD, for example, by releasing DREAD 2. I’m exploring a similar approach with DFDs. I’m hopeful that this post can serve as a collection of reasons to not use DREAD v1, or properties that a new system should have. What’d I miss? 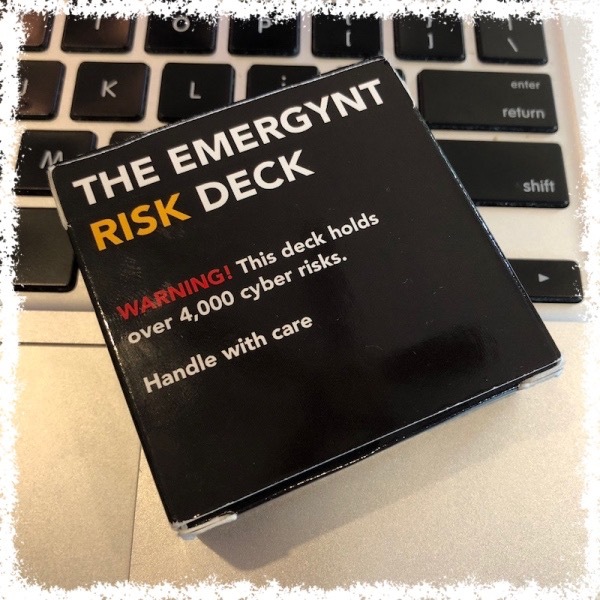 As we head into RSA, I want to hold the technical TM Thursday post, and talk about how we talk to others in our organizations about particular threat models, and how we frame those conversations. I’m a big fan of the whiteboard-driven dialogue part of threat modeling. That’s where we look at a design, find issues, and make tradeoffs together with developers, operations, and others. The core is the tradeoff: if we do this, it has this effect. I’m borrowing here John Allspaw’s focus on the social nature of dialogue: coming together to explore ideas. It’s rare to have a consultant as an active participant in these dialogues, because a consultant does not have ‘skin in the game,’ they do not carry responsibility for the tradeoffs. These conversations involve a lot of “what about?” and “what if” statements, and active listening is common. Let me contrast that with the “threat model review.” When reviews happen late in a cycle, they are unlikely to be dialogues about tradeoffs, because the big decisions have been made. At their best, they are validation that the work has been done appropriately. Unfortunately, they frequently devolve into tools for re-visiting decisions that have been made, or arguments for bringing security in next time. 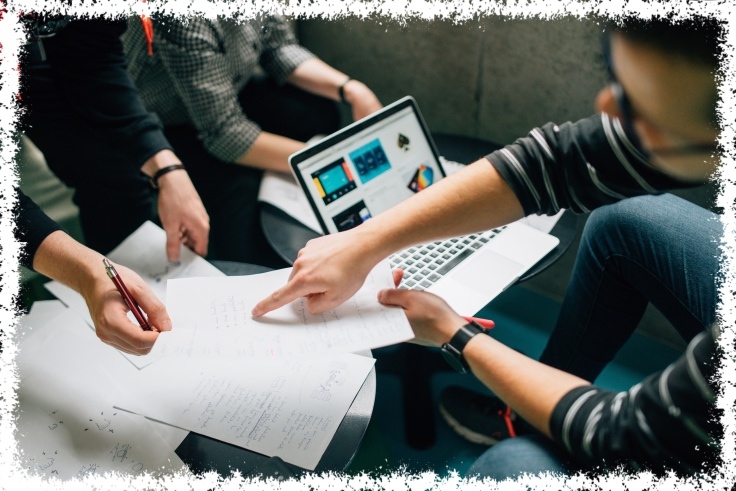 Here, outside consultants can add a lot of value, because they’re less tied to the social aspects of the conversation, offer a “review” or “assessment.” These conversations involve a lot of “why” and “did you” questions. They often feel inquisitorial, investigatory and judgmental. Those being questioned often spend time explaining the tradeoffs that were made, and recording those tradeoff discussions was rarely a priority as decisions were made. These social frames interleave with the activities and deliverables involved in threat modeling. We can benefit from a bit more reductionism in taking ‘threat modeling’ down to smaller units so we can understand and experiment. For example, my colleagues at RISCS refer to “traditional threat modeling approaches,” and we can read that lots of ways. At a technical level, was that an attacker-centric approach grounded in TARA? STRIDE-per-element? At a social level, was it a matter of security champs coming in late and offering their opinions on the threat modeling that had been done? Image: Štefan Štefančík. Thanks to FS & SW for feedback on the draft. Joseph Lorenzo Hall has a post at the Center for Democracy and Technology, “Taking the Pulse of Security Research.” One part of the post is an expert statement on security research, and I’m one of the experts who has signed on. I fully support what CDT chose to include in the statement, and I want to go deeper. The back and forth of design and critique is not only a critical part of how an individual design gets better, but fields in which such criticism is the norm advance faster. Importantly for the case which CDT is making, over the span of thirty years, we went from a single suspension bridge to “much precision” in their construction. That progress happened because criticisms and questions are standard while a bridge is proposed, and if it fails, there are inquests and inquiries as to why. It had been said repeatedly by critics of the plan that a single span of such length was impossible, that the bridge trains would shake the structure to pieces and, more frequently, that no amount of calculations on paper could guarantee how it might hold up in heavy winds, but the odds were that the great river span would thrash and twist until it snapped in two and fell, the way the Wheeling Bridge had done (a spectacle some of his critics hoped to be on hand for, to judge by the tone of their attacks). 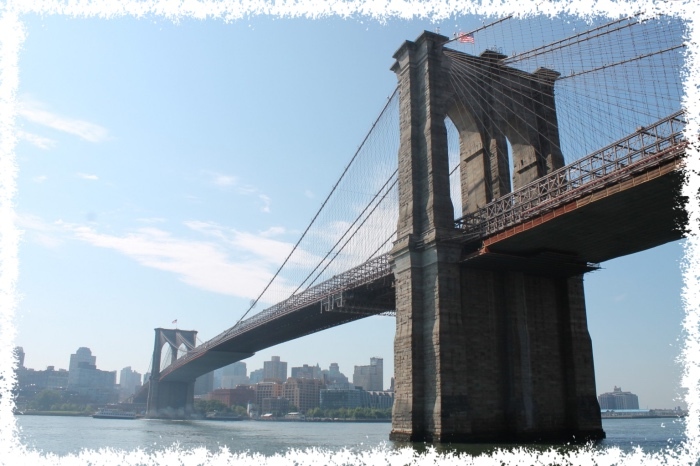 The process of debating plans for a bridge strengthen, not weaken, the resulting structure. Both books are worth reading as you think about how to advance the field of cybersecurity. Image credit: Cleveland Electric, on their page about a fiber optic structural monitoring system which they retro-fitted onto the bridge in question.